Bladderwrack is natural seaweed that grows on the northern coastlines of the United States. It is a common source of kelp that may provide a number of health benefits to your skin, thyroid, and joints. 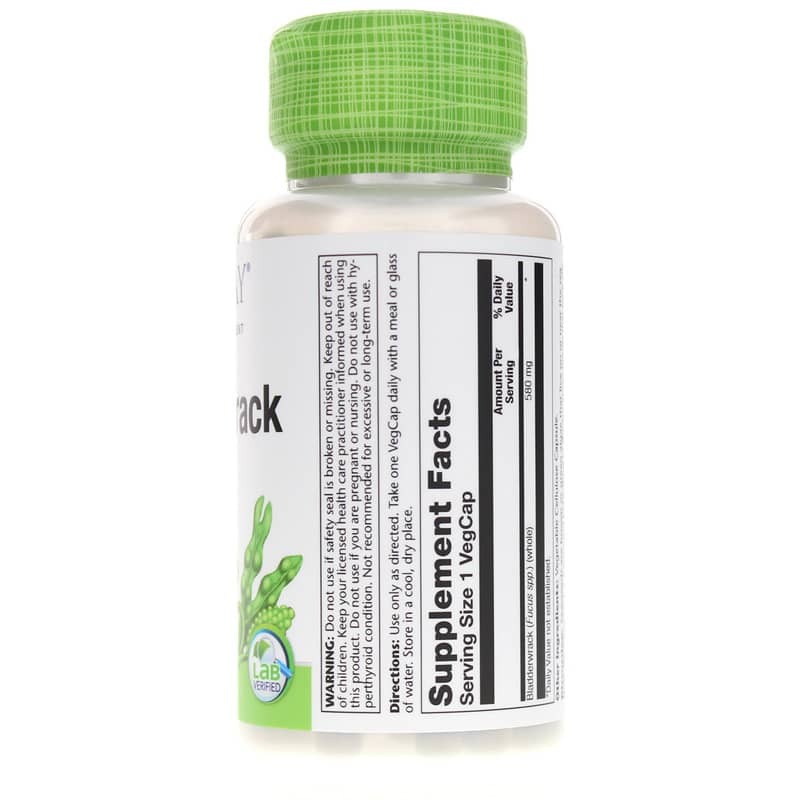 Solaray offers Bladderwrack, a dietary supplement that provides 580mg in every capsule to help enhance your overall health. 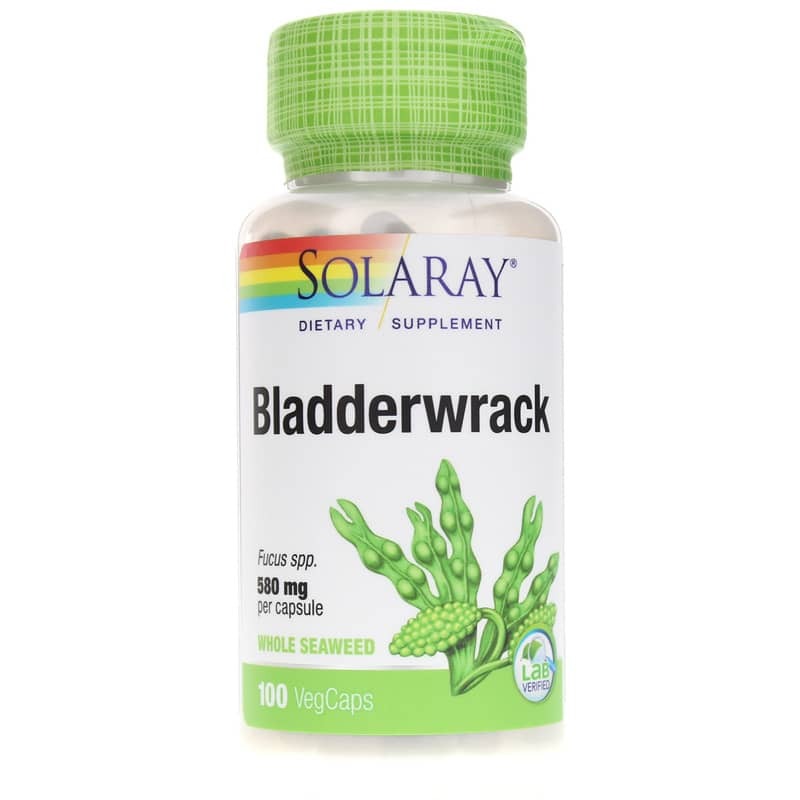 Solaray's Bladderwrack comes in a capsule form that is easy for adults of all ages to swallow. 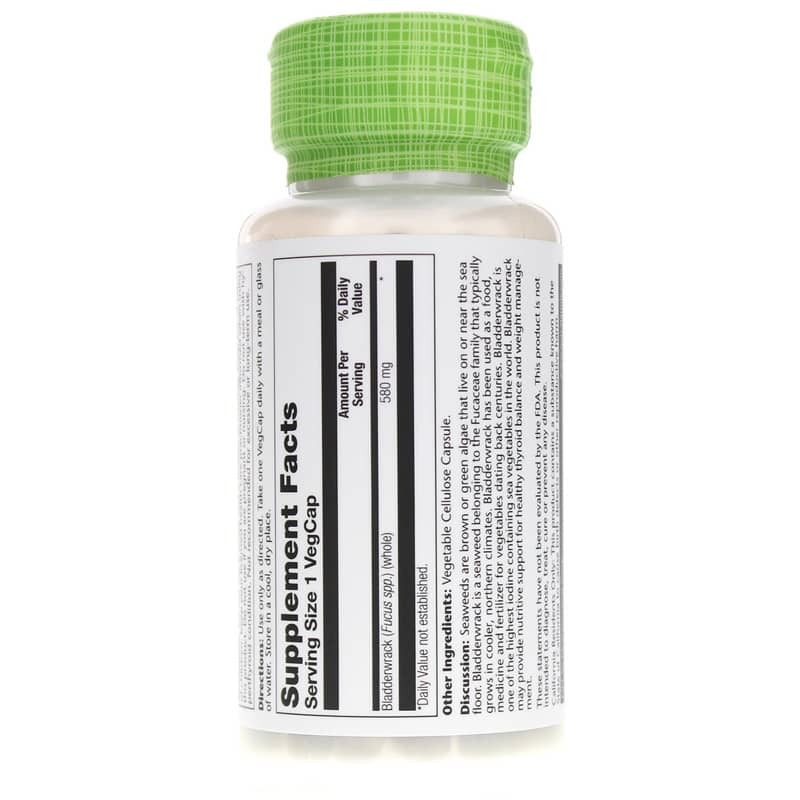 This supplement contains only the ingredients listed on the label--guaranteed. Make the right choice to stay healthy. Choose Bladderwrack today, and stay on the all-natural pathway toward optimal health and an increased sense of wellness. Order now! Adults: Use only as directed. Take one VegCap daily with a meal or glass of water. Do not use if safety seal is broken or missing. Keep out of reach of children. Keep your licensed health care practitioner informed when using this product. Not recommended for use during pregnancy or lactation or for people with hyperthyroidism or heart problems. Not recommended for long-term use. I use this along with kelp, and it has been wonderful.